Found 5 file extension associations related to Nero WaveEditor and 4 file formats developed specifically for use with Nero WaveEditor. 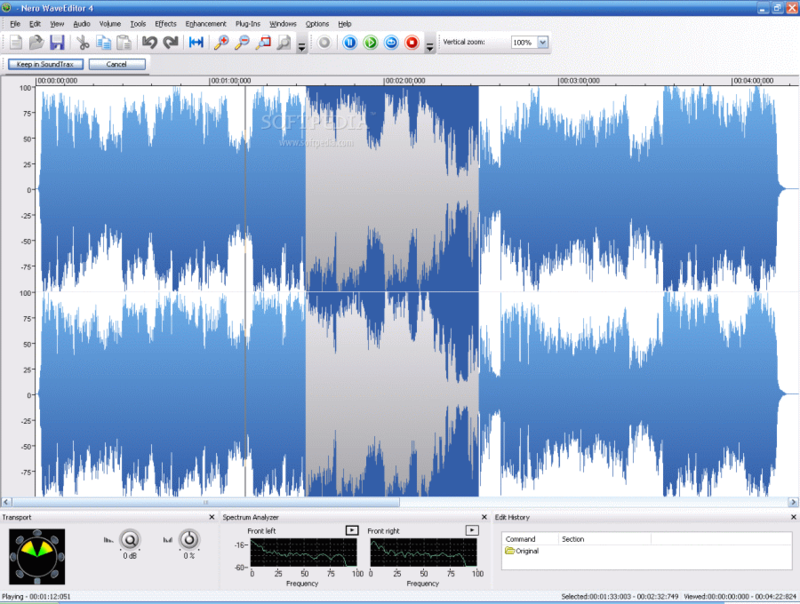 Advanced audio editing and recording is a snap with Nero WaveEditor. Produce high quality audio creations with up to 7.1 channels. Various filtering and sound optimization methods help you create individual audio files quickly and easily. Nero WaveEditor is used and trusted by IT professionals worldwide. New effects and an effect graphical user interface enable a camera denoiser effect, convolution reverb effect, and digital monitoring. If you need more information please contact the developers of Nero WaveEditor (Nero AG), or check out their product website.